"You bar this door behind me! If a man comes throughn, no matter what - you shoot!" Drafthouse Films has debuted the first trailer for The Keeping Room, a thriller set during the dying days of the American Civil War. The film stars Brit Marling and Hailee Steinfeld as sisters, who must fight to defend their home when two rogue soldiers from the Union Army come after them. They're joined by Muna Otaru, who plays a slave with them at their farmhouse fighting back. This looks solid. A bit dark at times, but otherwise not so bad for an indie revisionist western told from the woman's perspective. Opens in theaters September. Left without men in the dying days of the American Civil War, three Southern women - two sisters and one African-American slave - must fight to defend their home and themselves from two rogue soldiers who have broken off from the fast-approaching Union Army. The Keeping Room is directed by Daniel Barber, from a screenplay written by Julia Hart. This first premiered at the Toronto Film Festival last year, and played at numerous festivals throughout the last year. 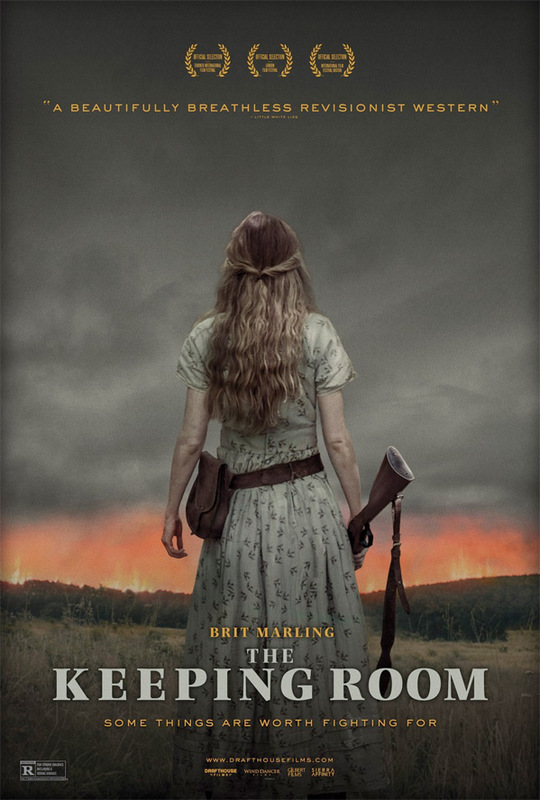 Drafthouse Films will release Barber's The Keeping Room in select US theaters starting September 25th this fall. For more updates follow @drafthousefilms. or "Men Who Hate Women". You know, that would be a interesting thing, THE GIRL WITH THE DRAGON TATTOO, but set in Western TImes. // This trailer was pretty great. Marling is the star we deserve.